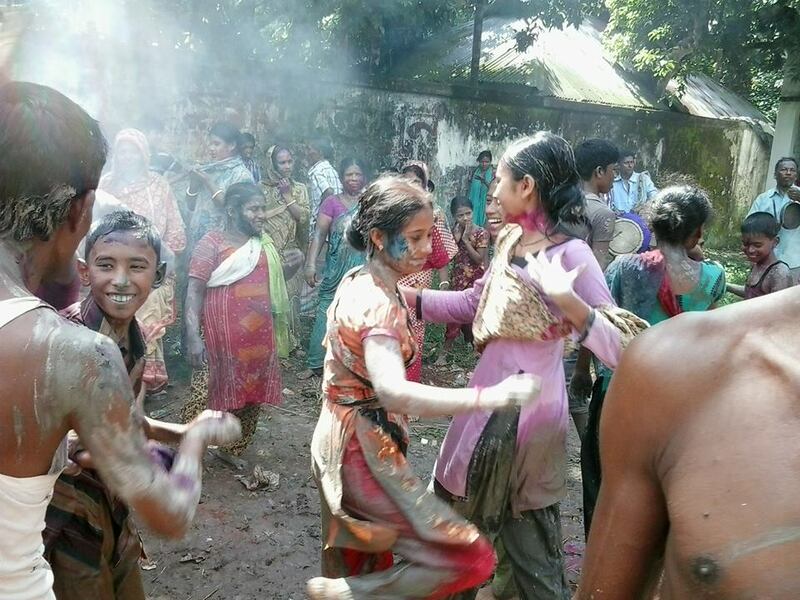 Image 1: Seven km away from Feni sadar is the lively marker of Kuthirhat. Two km from that market is Baduria village. At the bakultala corner of Baduria is “Majumdar House.” Where up to 1971 was celebrated several generations’ Durg Puja. During the war, the house was burnt down and taken over temporarily, and Dura Puja was stopped because of the family’s distress. In 1986 Puja was started again at that house. It is basically at that family’s effort that Puja has been celebrated there for last 27 years. 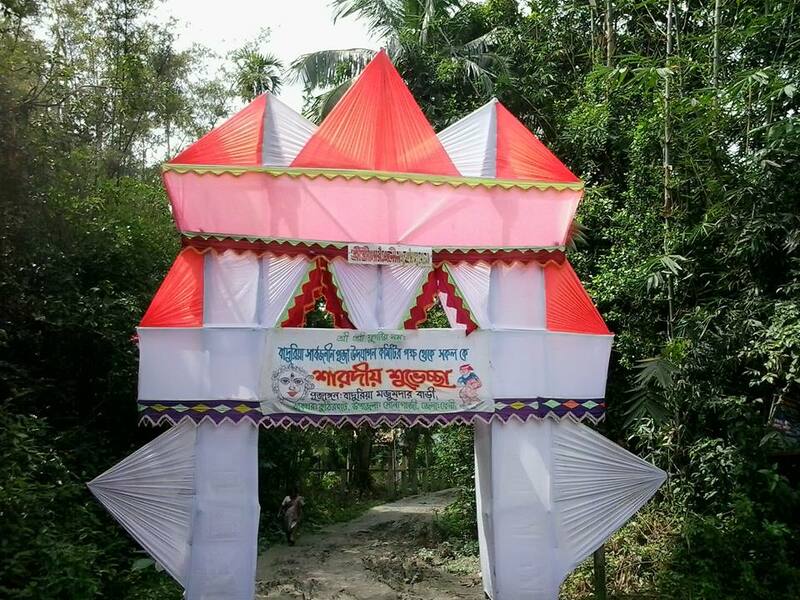 Some small pieces of data about “Majumdar House” Durgapuja and about this village will awaken curiosity. Historically, next to this house, was Shil-Mali and Dhopa family, who are still engaged in their own professions up to this date. At one time, many such Hindu working families lived here. Right adjacent to the Muja mandap, I have seen the Dhopa house drying white, sparking alkhalla-punjabi and genji in the sun. On Oshtomi day, I have seen barber cutting hair in their courtyard. Sadly, I never had the chance to receive flower garlands from a Malikanya. This year, the Puja expenses were over 1 lakh Taka. majority of expense came from Majumdar house (their title is “Datta-Gupta”). Local youth formed a Puja Committee which received 13 thousand taka from local government administration. Last year they had received 28 thousand. This government help comes in the form of rice, which they sell to convert to cash. At the time of Puja, four women and a few male Ansars were appointed for security by government– all Muslim. Every night, local police also patrolled. I have never seen any fear-worry from Ashtami to Bijaya. During Puja, all Hindu families of the village are fed at this house three times a day. The huge courtyard has lines of women sitting on jute-cement bags, waiting to eat. Food is served based on volunteer labor and from the Puja funds. 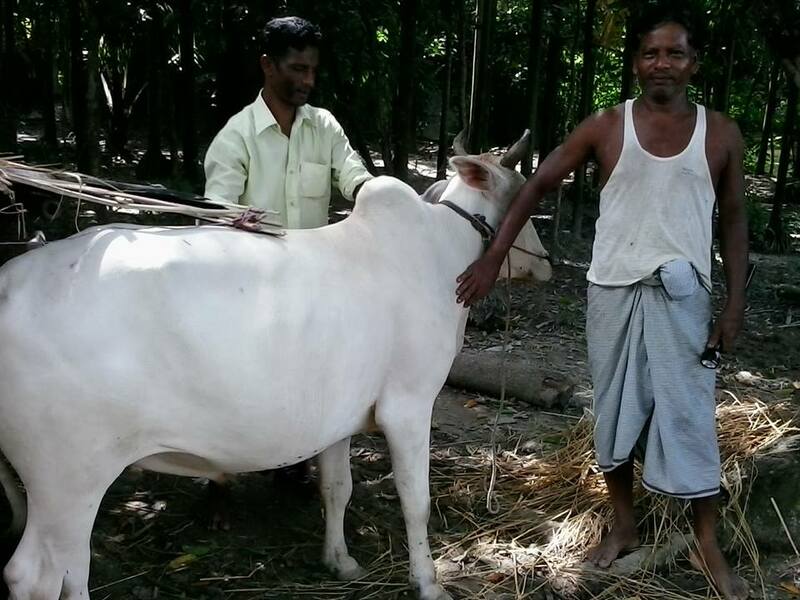 Each meal, 80-90 people are fed, which gives an idea of the village’s Hindu population. 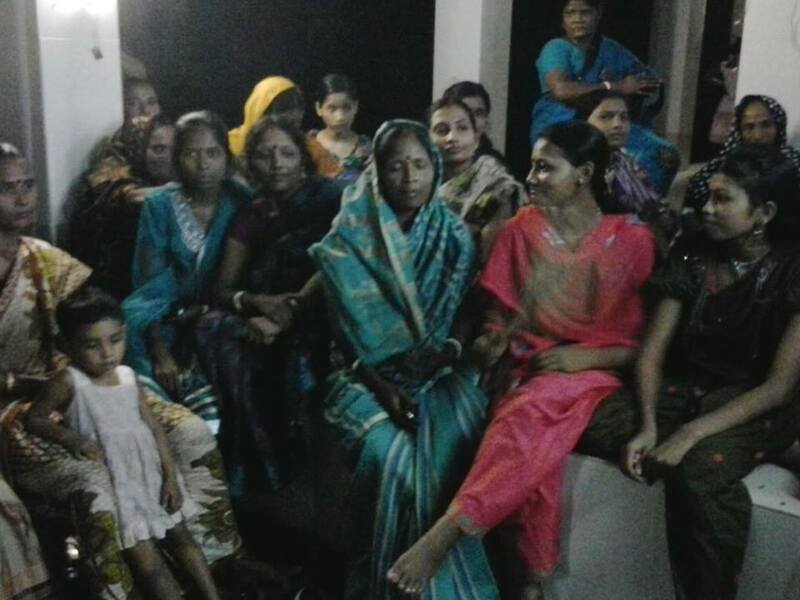 The Majumdar family members of multiple generations sit with all the villagers and eat each meal. Image 2-3: On the evening of Ashtami, women and teenage visitors to the Puja Mandap are sitting with Didima and the children and enjoying Dhak-Kasharbadon and Dhunchi dance. 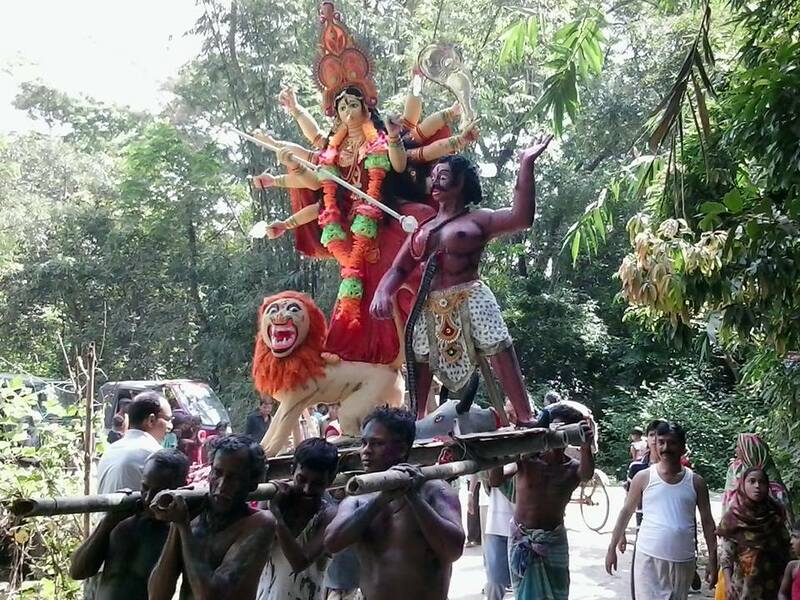 Image 4-6: On afternoon of Bijaya, Devi Durga is being taken to Bakultala before being floated in water. 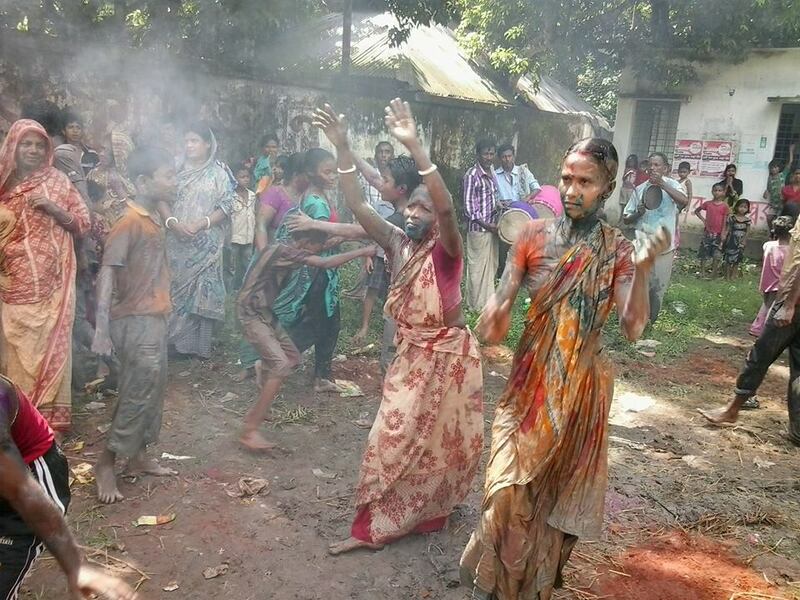 At the bakultala, worshippers dance, and play with colors. These are all the working labor families of the village. An unknown bird comes and goes in this cage of mine. We are neighbours and a neighbour is the face reflected in a mirror. 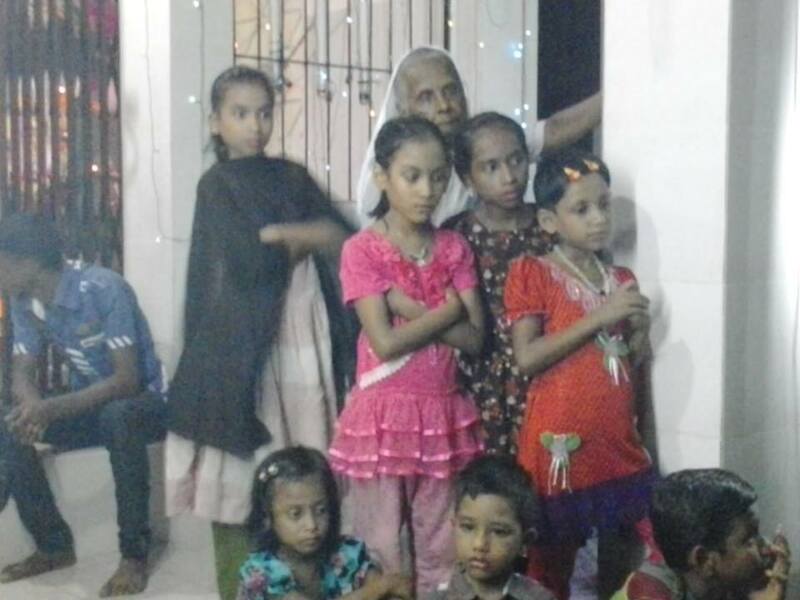 During Zakat collection, Hindus especially in rural areas are particularly targeted if they do not contribute (even though it is not an obligation under interpretation of law or code like “jizia”). Everybody knows this. Please write about this also. During recent hartal, many instances of Hindu businesses and residences only being attacked (e.g. 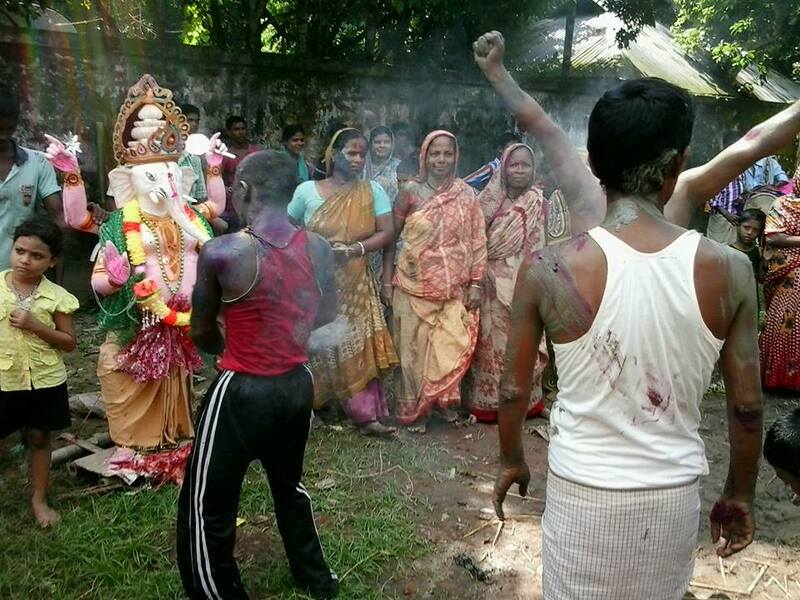 http://www.thedailystar.net/beta2/news/hindus-attacked-in-pabna/). Please see DAILY STAR, PROTHOM ALO, even if only a fraction reported, it is there for everyone to see. Again, please write about this also.